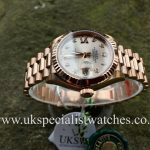 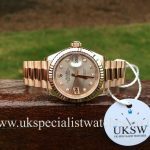 Rolex Lady-Datejust latest model with a larger 28mm solid 18ct Everose case with a factory Sundust Diamond dial with star set diamonds. 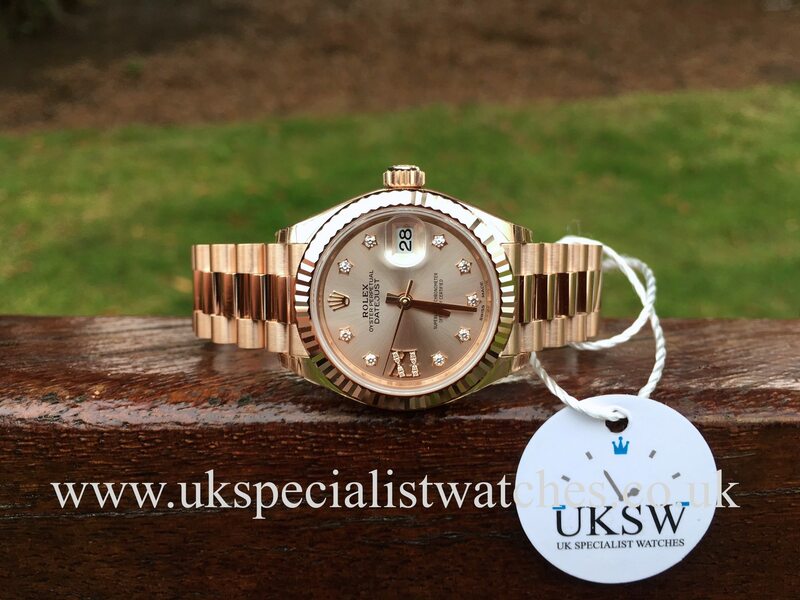 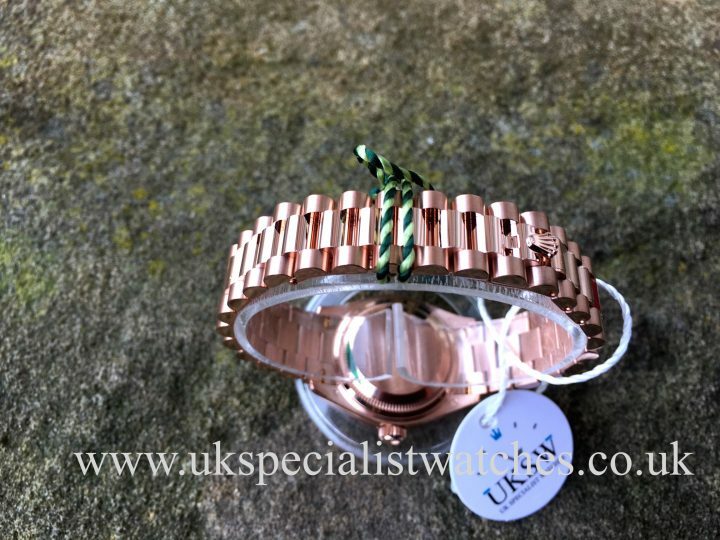 Solid 18ct everose fluted bezel. 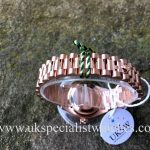 Fitted to a solid link 18ct Rose Gold president bracelet with concealed folding clasp, sapphire crystal glass, water resistant to 100m. 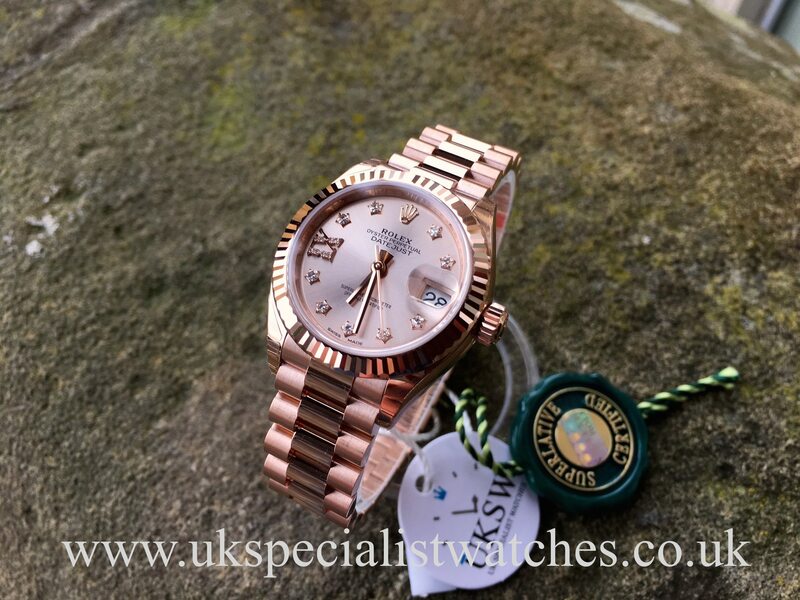 Powered by an automatic self winding movement. 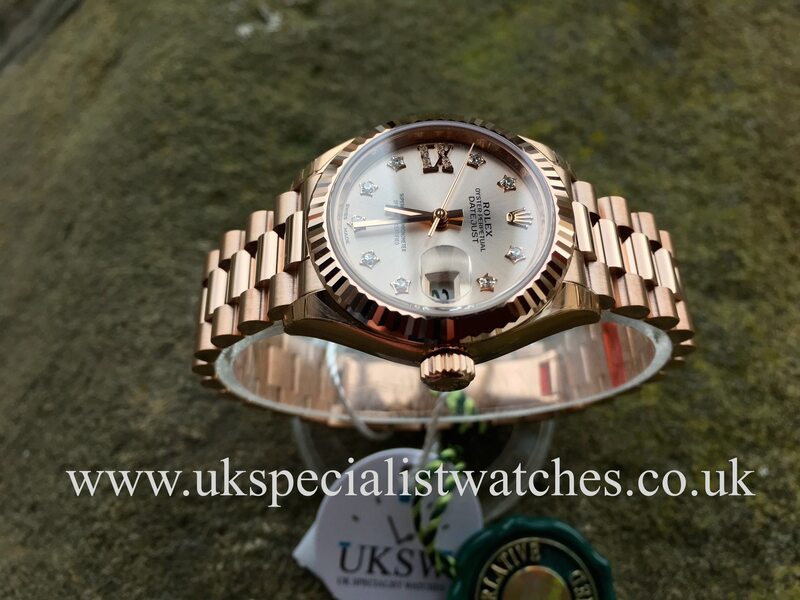 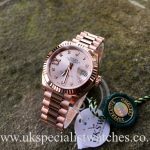 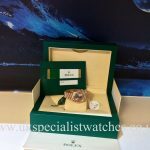 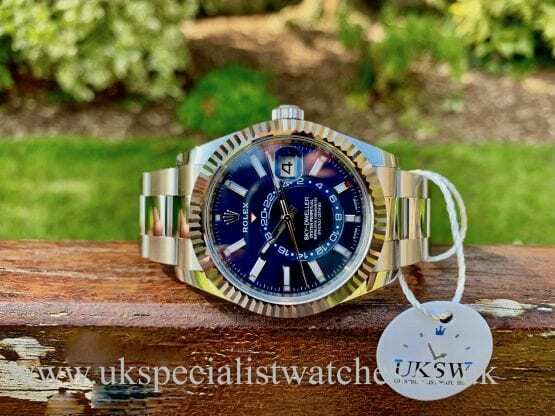 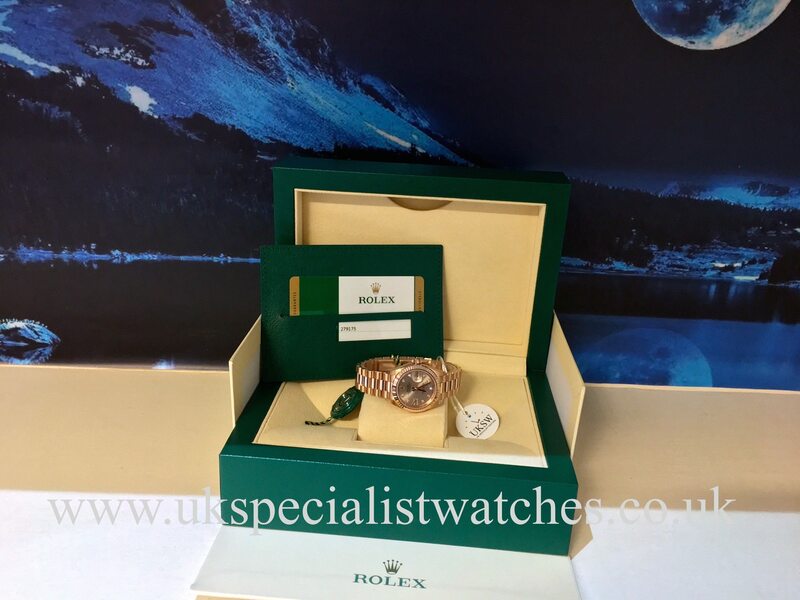 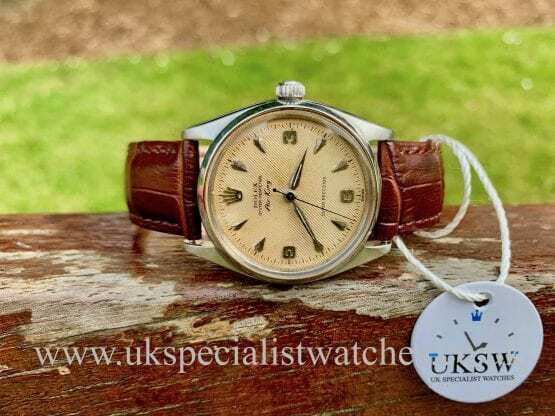 Our UNUSED / UNWORN 2016 example comes complete with original boxes, stamped warranty card, swing tags and the Rolex 5 Year international Warranty. Costs new today £21,600!